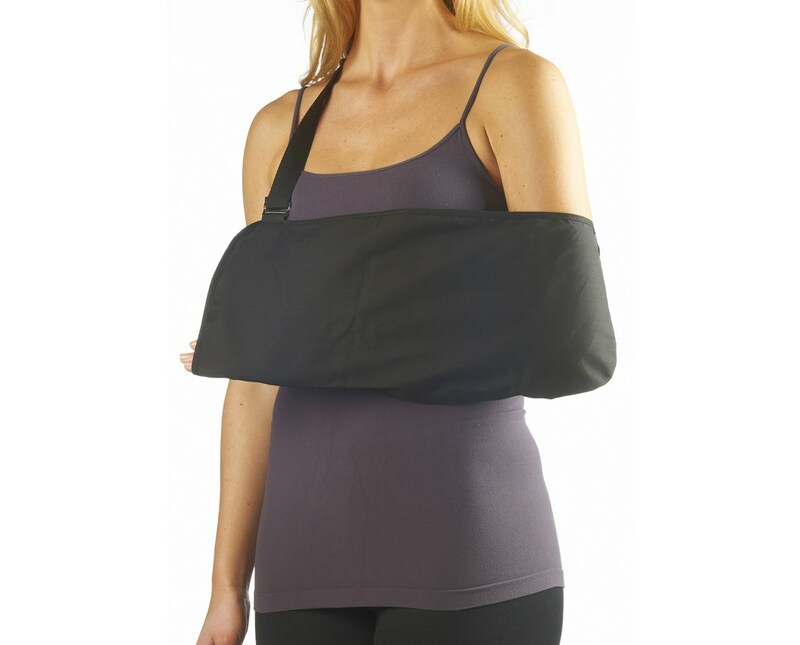 The Pro Advantage Arm Sling features a one piece design for ease of use, slide buckle closure for ease of application, and thumb loop and neck pad for added comfort. 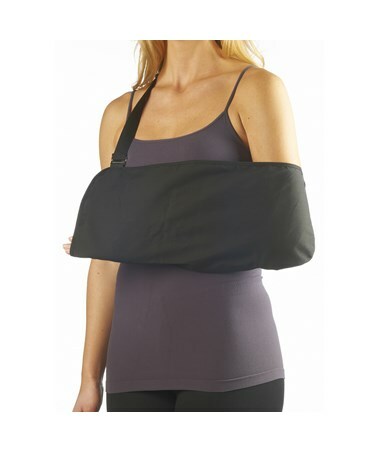 It is indicated for injuries to the arm, shoulder, wrist or hand and as a cast support to maintain arm in neutral position. Made from a durable cotton material, it is non-sterile and latex-free. 1”W shoulder strap with pad. Available in the following sizes: Small (15”x6”); Medium (17”x7”); Large (19”x8”); X-Large (21”x9”); measurements are sling pouch width x height. Please click the dropdown menu above to select your preference and "add to cart" to order.